Any SFF fan - and indeed, anyone who's so much as stepped into a bookshop for the last few years - has likely heard of Patrick Rothfuss. 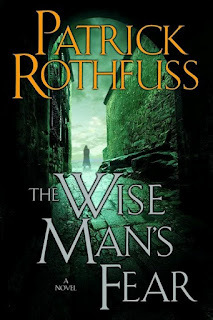 Reading his novels is a different matter, however (especially since much of the discussion you've heard of Rothfuss will be on how long he takes to put them out...) - and this is my attempt to say who might like to, and why you should read Rothfuss. Especial focus on the 'everyone'. Rothfuss draws you inevitably into his writing. He's a born storyteller, and if you have - like most of us - a love not just for exquisite story but for exquisitely written story, give Rothfuss a try. You won't regret it - though his prose is too flowery for some, fans of authors like Guy Gavriel Kay should feel nicely at home. - Larger-than-life characterisation. Much of modern fantasy strives for realism - at least in characterisation. But sometimes one gets, well, tired of that: sometimes we want the larger-than-life hero, the protagonists whose talents and failures are orders of magnitude larger than ours. If you want such a man, Kvothe is for you. He's a genius, a talented musician, and is running an inn after having killed a king. He's generally the antithesis to boredom, and while that may sometimes have its own problems, he's definitely a larger thab life character -he may have big talents, but his failures are pretty damn huge too. - Sympathy - by which I mean not the virtue (which is very nice and all) but the magic system. I wrote a column on it over at Grasping for the Wind, but could hardly fail to mention it here: it's wonderful. Sympathy, basically put, is the rule based magic system which draws on the basic principle of binding two alike objects together. The more alike, the better the link - and something that was once part of the other object makes the best link of all. The binding can be anything: parallel motion to heat transfer (when one gets hot, the other - if the link was, say, though your hair that a sympathist got hold of - sets your blood to boiling. Ouch.) It's a firmly rule based system, which has advantages. Similarly to Sanderson's systems, you understand the system, so clever uses: a) Don't come off as deus ex machina resolutions and b) Are understood by the reader. Which might reduce the awe factor, but on the other hand does make high-magic tales (such as this) possible. - And the big reason you shouldn't: time. Rothfuss' tomes are weighty volumes, but take a look at the publishing schedule. The Name of the Wind came out in 2007. Its sequel? 2011. That, people, is a long wait. If you listen to Rothfuss' explanation, it's entirely understandable - but the fact remains that there looks to be a similar wait for the third novel. 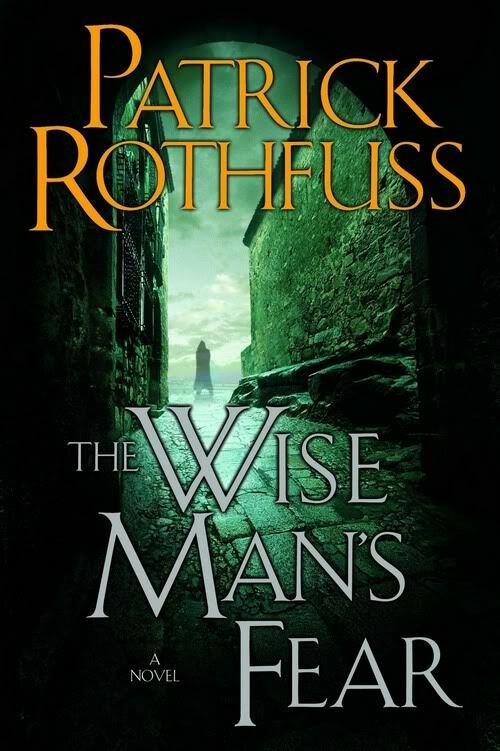 If you like a series to be finished, or at least steadily progressing before you started - well, you might want to give Rothfuss a miss for now. There are other flaws and other merits: but for those, I've written reviews. This is my toplist of reasons to read Rothuss - so why not give him a try? You know I loves me some Patrick Rothfuss! I know his books look big and fat and intimidating, but oh, they are so worth it! I read Name of the Wind and Robin Hobb's Assassin's Apprentice within a year of each other. Those two books turned me into a fantasy fan. I don't even mind the huge time gap between the Kingkiller Chronicles books. So far neither one has ended on a cliffhanger, and both are episodic enough that they are fully satisfying even if I don't find out what happens next for a long time. Although it was really dumb of me to not do a quick reread of the first one before reading the 2nd!! Definitely! Those are two of my favourites - both very character driven, too. Both Fitz and Kvothe are great, great characters!